Review by Philip Obenschain (@pobenschain). Photos by Amber J. Davis. After a great (and slightly rainy) first week, which included Dispatch, The Wood Brothers, Mt. Joy, and Roscoe & Etta, Live on the Green‘s tenth annual season continued strong in week two, with a stellar and indie rock skewing slate of returning favorites Cold War Kids, breakout indie oddballs Car Seat Headrest, local staples Colony House, and longtime friends of the site *repeat repeat, a stellar blend of local and national talent, and one that drew a huge and enthusiastic audience. 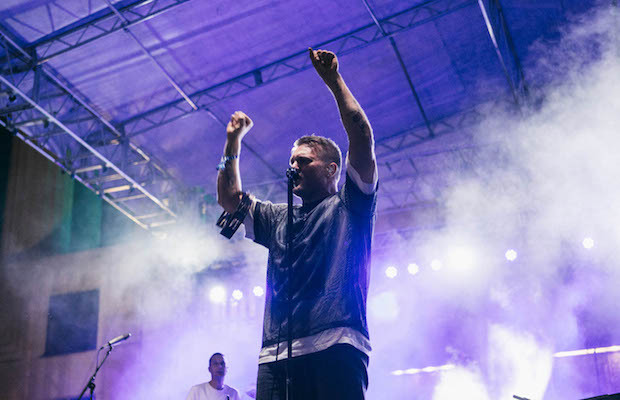 As it has for several years, the free, all ages fest will run for four Thursdays this year, ending with an epic three-day affair extending across two stages through the final Saturday and Sunday. 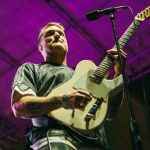 We have performers like Jimmy Eat World, Dr. Dog, X Ambassadors, Trampled By Turtles, Matt and Kim, Natalie Prass, and Parquet Courts to look forward to, but, before we preview the exciting weeks ahead, take a look at our recap and photos from week two below! Not to dwell on the weather every week, but after an intensely rainy Thursday morning, I anxiously hoped Live on the Green would be spared from that same torrential downpour, and, thankfully, as the skies cleared up by mid-afternoon, it was (it’s rain or shine regardless, so I made sure to pack a poncho just in case). Arriving at the site early, I noticed a bit more of an early crowd than the week prior, likely both a testament to the strength of this week’s lineup, and its exciting openers, *repeat repeat. After settling in and getting pulled into *repeat repeat’s pre-show huddle (we’ve been friends and big fans with this band since their earliest, East Nashville Underground beginnings), I was brimming with anticipation and excitement for, perhaps, my favorite lineup of the season from top to bottom, and managed to snag a spot front and center just before week two officially began. *repeat repeat. Photo by Amber J. Davis. 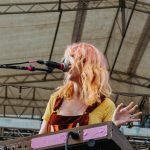 Now a national touring act, *repeat repeat’s hometown shows have become a bit more rare, and though they certainly don’t ignore Music City, it feels like a special and noteworthy event to see them nowadays in Nashville, especially at a cool setting like Live on the Green. 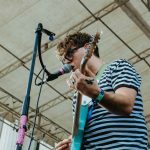 After previously debuting at the fest two years ago, the band returned both with the buzz of their great sophomore LP, last year’s Floral Canyon, as well as in anticipation of their third effort, set to drop next year and produced by The Black Keys’ Patrick Carney. 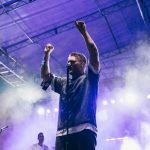 After an incredibly memorable Bonnaroo set earlier this summer, I was even more excited to see the group at home, on a bigger stage, and in front of a larger and more familiar crowd; they did not disappoint. 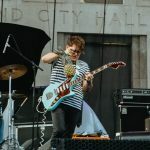 Though in the early days (when I saw them dozens of times in just a couple of years) they exclusively played as a trio, the husband and wife duo of Jared and Kristyn Corder have, since before the start of this record cycle, adopted a drummer and bassist as their permanent backing lineup, rounding out and enhancing their live sound. For this show (and, I believe, particularly the newest tunes), they even brought another guitarist out, really giving the band’s formerly more lo-fi and minimalist sound a glorious extra layer. 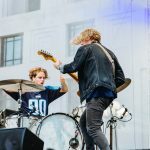 Now a road-worn live fixture, the last few times I’ve seen *repeat repeat live, they’ve sounded better than ever, and Live on the Green might’ve just been their strongest (and certainly most energetic) Nashville show yet, teeming with charisma, unpredictability, and unbridled rock spirit. Jared, donning the same black and white stripped look he’s worn since the band’s beginning, has really grown into his role as a frontman, able to capture the crowd’s attention, get people engaged, and sustain a level of lightheartedness and excitement, running around the stage and at one point shimmying between the speakers to land in the pit, where he played half a song on the railing in the middle of the audience. 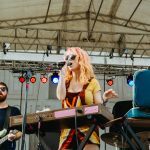 Kristyn, meanwhile, remains the duo’s anchor, filling out songs with keyboards, samples, and backing vocals, rocking a whimsical, retro look that, at her own admission, may or may not have been covertly peed on by one of the duo’s numerous rescue cats. 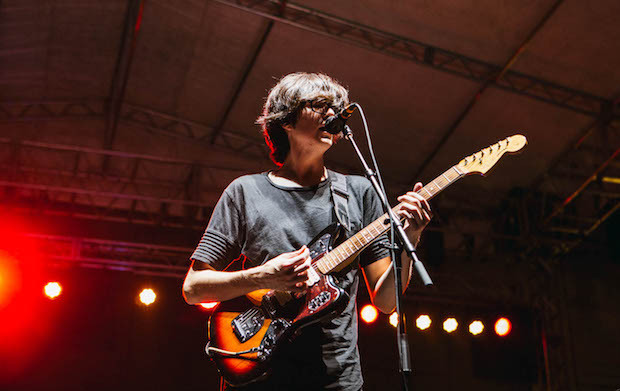 More than just looking the part though, *repeat repeat sounded magnetic, their trim set chock full of inspired renditions of favorites like like “Girlfriend,” “Everybody’s Falling in Love,” and “Mostly,” as well as a couple of cuts from their highly-anticipated forthcoming LP. I can’t think of a better-suited band to kick off a show like this, and though the half hour time slot flew by all too fast, it left me absolutely amped (and the bar set high) for the rest of the evening. Colony House. Photo by Amber J. Davis. Live on the Green has always found a great balance of local and national talent, and though the latter usually occupies most of the season’s slots (curated, of course, by Lightning 100, and made even more impressive by the fact that it’s all free), this week ended up being a 50/50 split, so well-matched to compliment the touring acts. 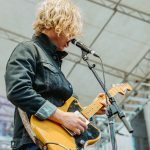 Like *repeat repeat, Colony House (who technically hail from nearby Franklin) have found breakout acclaim in recent years, and spend a lot of time on the road, making many of their Nashville dates these days part of other tours or festivals, and meaning appearances like Live on the Green are an extra special treat. 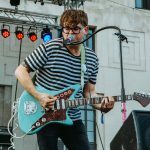 Also like *repeat repeat, I recently saw them at a regional fest, in this case Forecastle, but I was eager to catch them again in front of a hometown crowd. 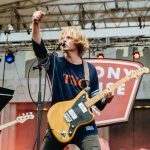 Colony House have forged a sound that’s incredibly polished and accessible, making them perfect for an event like this, where not everyone might be familiar with the performers (though, a quick scan around the crowd up front suggested a lot of Colony House fans were certainly in attendance). Kicking off a few minutes late, the band launched into one of the best, most balanced, and most heartfelt sets I’ve sever seen them play, with their huge hooks, earnest writing style, and singalong ready tunes landing especially strong and well-suited to the big stage environment. 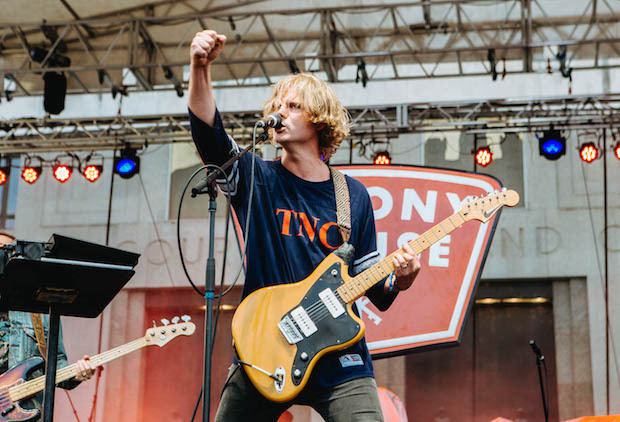 After seeing them main stage at Forecastle and now LOTG, it’s clear Colony House are primed to resonate with any sized crowd, and could easily adapt to even bigger and more high-profile shows. 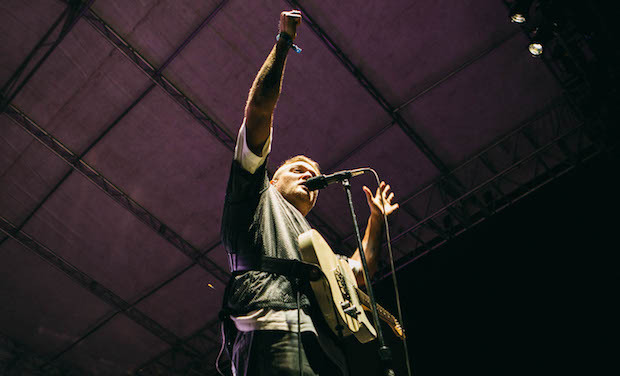 The group last played Live on the Green in 2015, the same year Cold War Kids made their debut, and given the bands’ complimentary vibe and genre-bending style, it felt appropriate that they would return the same year, on the same night. Between moments of upbeat, dance-primed indie bliss like signature singles “Silhouettes” and “You & I,” and more heartfelt and stripped down tunes (singer Caleb Chapman, at one point, even remakes that he didn’t start writing love songs until he met his wife), it was clear that Colony House are deserving of every ounce of attention they’ve earned lately, and the ceiling for this band’s ascent is seemingly unlimited. At the risk of sounding like a broken record, this week of LOTG, even by the halfway point, was already one of the best ever. 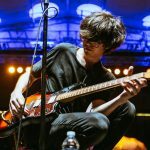 Car Seat Headrest. Photo by Amber J. Davis. 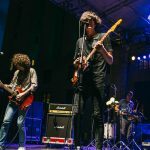 I’ve seen Car Seat Headrest at festivals and, randomly, even at a club in Los Angeles, but somehow I’ve missed all of their prior stops in Nashville proper, and as a band I’ve really grown to love over the past few years, they were one of my most-anticipated for all of this year’s LOTG season (especially since I’m always one to root for the bands who sprung from scrappy, lo-fi, and DIY origins). 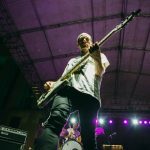 Though CSR has been a vehicle for frontman Will Toledo for almost a decade, they’ve only really been a more formal band, and one with hi-fi production efforts, for the last few years, finding breakout prominence for 2016 tenth album Teens of Denial. 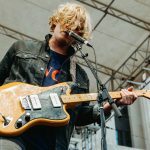 They’ve had a very interesting and admirable career trajectory, and while they still carry a bit of an indie oddball vibe that might be better suited for a spot like The End or Exit/In (had they not outgrown them), LOTG proved that they can scale and connect in what might otherwise seem like a format at odds with their aesthetic. 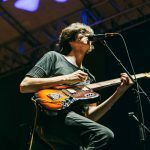 Kicking off their set with fan-favorite “Vincent,” I was reminded of just how epic and huge Car Seat Headrest sound live, channeling an era when indie rock thoughtfulness could co-exisit with commercial viability. 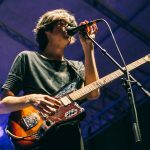 It appeared that a TON of crowd showed up specially for them, and their excited fans, many of whom where teenagers and young twenty-somethings only helped fuel what was an inspired and phenomenal performance. 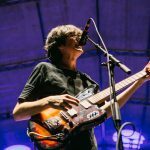 Though a bit quiet and reserved in his interaction and mannerisms, I’m always stuck by how effective and magnetic a frontman Toledo can be, and, for as long as he’s been doing this, always sounds pretty effortless and honed. 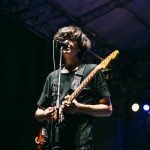 The rest of the group, likewise, sounded the best I’ve ever heard them, and more or less just powered through a conventional Car Seat Headrest show, without any specific regard to the crowd or festival setting. High points included a memorable cover of Neil Young tune “Powderfinger” with guitarist Ethan Ives flexing his vocal chops, a powerful and stripped-down “America (Never Been)” (an enduring favorite from the project’s former lo-fi era), frenetic favorite “Bodys” (which landed great, despite having to be restarted for technical issues), and, of course, breakout single “Drunk Drivers/Killer Whales,” which remains CSR’s most exemplary mission statement to what makes them so unique and cool. 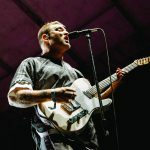 Though slotted for an hour and fifteen minutes (seemingly longer than their typical shows), the band ended up going a little under after a late start, delivering a well-balanced ten song set and keeping the momentum going in spades. The night could of ended at this point and I would’ve been beyond satisfied- but with Cold War Kids slotted next, week two’s fantastic lineup only managed to get better. Cold War Kids. Photo by Amber J. Davis. Like, I’m sure, a lot of fans, I first fell in love with Cold War Kids after their debut full-length, Robbers & Cowards, in 2006. At the time, I was in an indie band of my own, and we listened to the LP nearly after day on tour. 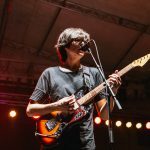 Loyalty to Loyalty and other subsequent followups were definitely on my radar, but little by little over the years, I kind of fell off on keeping up with the band’s latest work, and went a number of years without catching them live again. 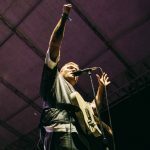 A higher frequency of records than ever and a ramp up in performances in recent years put them back on my radar once more, however, and after appearing at LOTG 2015 and a few other festivals I covered, I rediscovered my love for Cold War Kids all over again, and, through it, their latest, more pop-accessible work. Like a handful of successful indie bands of their era, CWK have found a way to keep their style fresh and relevant amidst a changing sonic landscape, and have done so astonishingly effectively with last year’s L.A. Divine, which, after a career-spanning sampling of other favorites, yielded the bulk of their set (followed by, of course and to my delight, Robbers & Cowards). 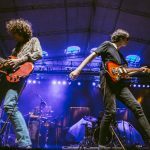 Frontman Nathan Willett and bassist Matt Maus, the remaining two original members, still possess the most charisma and frenetic energy of the group, though more recent additions still rounded out their sound nicely, and felt like perfectly blended, as if they’d also been there all along. Rocking through tunes like “Mexican Dogs,” “Louder Than Ever,” and “Miracle Mile,” all sung back by the huge crowd with excitable exuberance, the classics such as “Hang Me Out to Dry” (played earlier in the show than I would have guessed) and “We Used to Vacation” definitely still hit me the hardest, and made it easy to pick out the longtime fans from those who’ve found Cold War Kids through their more recent efforts. 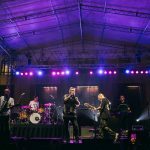 Despite playing indie rock, the group have always had a bit of an undercurrent of soul, and that still sets them apart from many peers, giving their music an added emotional weight and personal connection, especially in a live format. 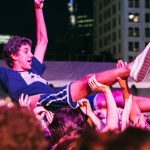 Week after week, I still find it hard to believe that we get this festival- all six nights and four weeks of it- for free, and while the rest of the season is certainly packed, this will easily go down as one of my favorite single nights of LOTG ever! 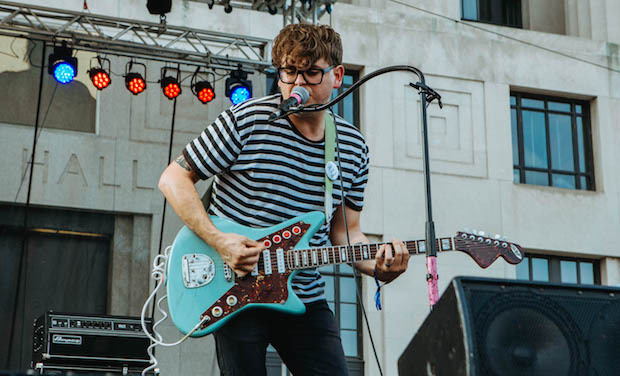 Live on the Green continues this Thursday, Aug. 23 with a great lineup of Trampled By Turtles, Rainbow Kitten Surprise, Parquet Courts, and Alanna Royale. Keep an eye out for a full preview later this week, along with our coverage after the show. 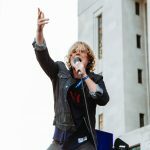 And, as always, head to LOTG’s site for more info.